Credit checks during the hiring process can exacerbate already tenuous financial situations. Employee’s are finding it hard to get a job due to credit problems. Credit screenings are a common part of the hiring process. Nearly one in three employers will perform one on a job candidate during the hiring process, according to a recent study from job search site CareerBuilder. From the employers’ point of view, it is preferable to hire someone with good credit because that is an indicator of their productivity. But a new working paper from researchers at the University of Wisconsin, Madison, and the University of Texas at Austin demonstrates how this standard can hurt low-income Americans. The use of pre-employment credit checks leads to a “poverty trap” in which an unemployed worker with poor credit has more difficulty finding a job. That causes them to go longer without a steady stream of income, which in turn makes it more difficult to pay off their debts. Consequently, their credit gets even worse. Overall, this poverty trap is associated with a 2.3% wage loss per month over a 10-year span, according to the working paper, which was distributed Monday by the National Bureau of Economic Research. This echoes previous research from progressive policy group DEMOS, which found that 10% of people living in low-to-medium-income households were denied a job because of bad credit. To address this problem of profiling the most financially vulnerable job seekers, Sen. Elizabeth Warren of Massachusetts reintroduced a bill last year in the wake of the Equifax data breach that would prohibit the practice at the federal level. In fact, lawmakers at the state level have already banned pre-employment credit checks. Multiple states — including California, Connecticut, Illinois and Washington — have set limits on the use of credit information when hiring. Lawmakers in the District of Columbia and New York City have also enacted bans in recent years. These bans are successful in addressing the needs of low-income workers. For starters, they do increase the job-finding rate of people with low credit scores. Additionally, workers with subprime credit also see their wages rise when credit-check bans are in place. Other studies have also questioned the notion that a high credit score is correlated with higher productivity at work. Other research has also shown the unintended consequences of credit-check bans. 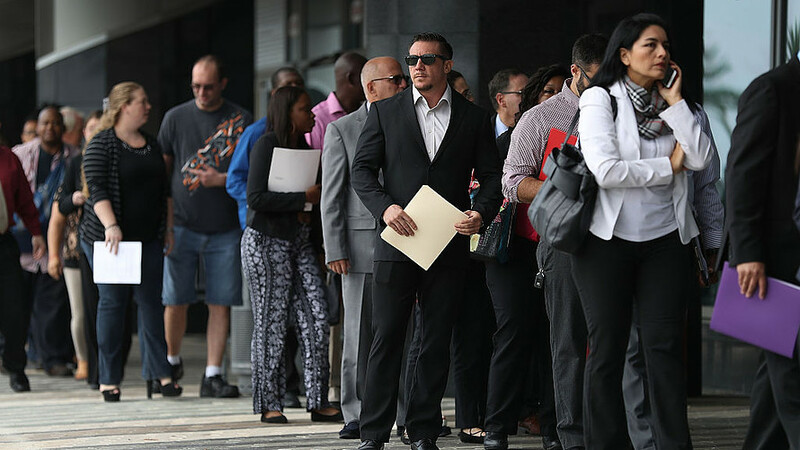 A report from the Opportunity and Inclusive Growth Institute at the Federal Reserve Bank of Minneapolis found that these laws lead to a slump in job creation. Additionally, workers with low credit scores were less likely to check the status of their credit in such an environment and were more likely to experience a delinquency. But for workers with high credit scores, the opposite is generally true, according to the new working paper’s researchers. When these individuals are without a job, the period of unemployment is 3.8 days longer on average if a credit-check ban is in effect. These workers also see their wages decrease on average, since they are seemingly less competitive. Overall, the latest working paper’s authors calculated that credit-screening bans only help 43% of the population.